Sixteen years after William K. Vanderbilt II passed away in 1944 of heart failure, race promoters were still trying to leverage the legacy of his great race. On April 2, 1960 the New York Region of the Sports Car Club of America (SCCA) announced yet another “revival” of the Vanderbilt Cup. This time, the Vanderbilt family member was 62 year old Cornelius Vanderbilt IV, author, newspaperman and a nephew of Willie K.
The race took place at the SCCA New York Region’s new road circuit on the Roosevelt Raceway’s grounds. The course utilized a portion of the parking facilities and access roads for a harness racing track. The 11-turn, 1.5 mile course included a straightaway nearly one half mile in length. The Cornelius Vanderbilt Cup Race was run on Sunday, June 19, 1960 as the culmination of an SCCA regional weekend of nine races. Usually the purview of amateur drivers, this SCCA race was granted special event status, which allowed professional drivers to enter. Promoters and car owners were successful in attracting some marquee names into the field. Among them were Jim Rathmann, the reigning Indianapolis 500 champion and Rodger Ward who had won the same race in 1959. Several future Formula One drivers were in the mix as well. These included the Rodriguez brothers, Pedro and Ricardo, Lorenzo Bandini, Jim Hall, Carroll Shelby and Walt Hansgen. Hall also raced in Can-Am sports cars and had even greater success as engineer and designer of Indianapolis 500 winning Chaparral cars. Shelby co-drove an Aston Martin to victory in the 1959 24 hours of Le Mans. The race was reserved for a new breed of car called “Formula Junior.” These cars were introduced in 1959 for a series developed to give aspiring Grand Prix drivers experience. The cars were lower power versions of Formula One racers, but could still attain speeds of 135 miles per hour. 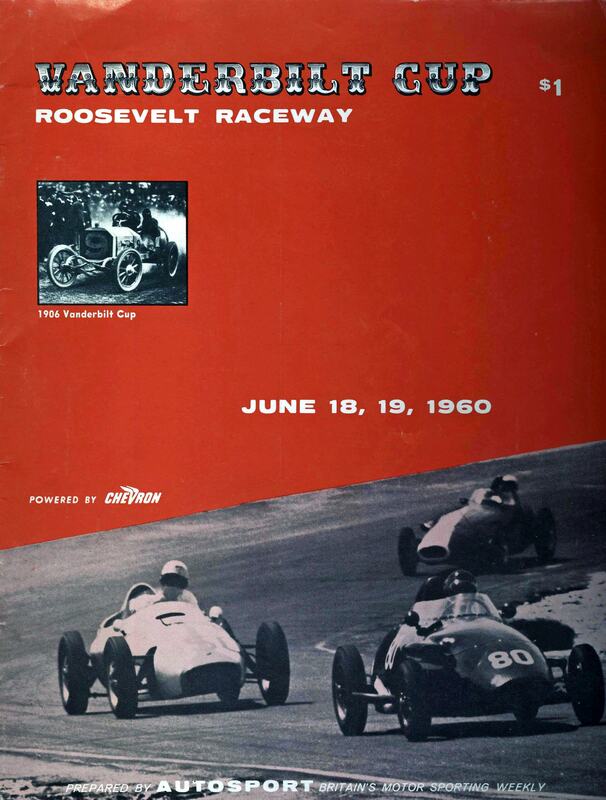 On Sunday, June 19, 1960, the Cornelius Vanderbilt Cup Race was the feature of the weekend and was preceded by a parade of vintage cars and two sports car races. Leading 31 vintage cars was “Old 16,” George Robertson’s 1908 Locomobile. Robertson had passed away in 1955. By SCCA regional racing standards, an excellent crowd of more than 37,000 people attended the race. It was started at 4:17 p.m. and required little more than an hour to run. 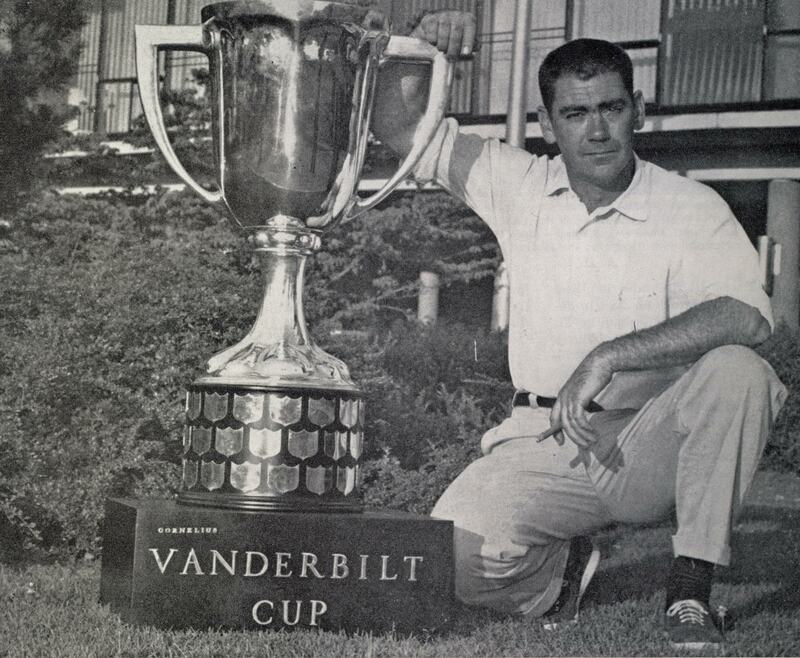 The race was a pale pretender to the original glory of the William K. Vanderbilt Jr. Cup. Just 75 miles, it was a 50 lap sprint and riddled with attrition. Only 14 of the 33 starters finished, and of the big names in the race only Pedro Rodriguez and his Scorpion DKW survived. Henry Carter, of Litchfield, Connecticut, a 37 year old salesman and national amateur road racing champion, broke through for the win. Driving a Stanguellini Formula Junior, Carter completed the 50 laps with an average speed of 74.95 miles per hour. Cornelius Vanderbilt IV was on hand to present the trophy. 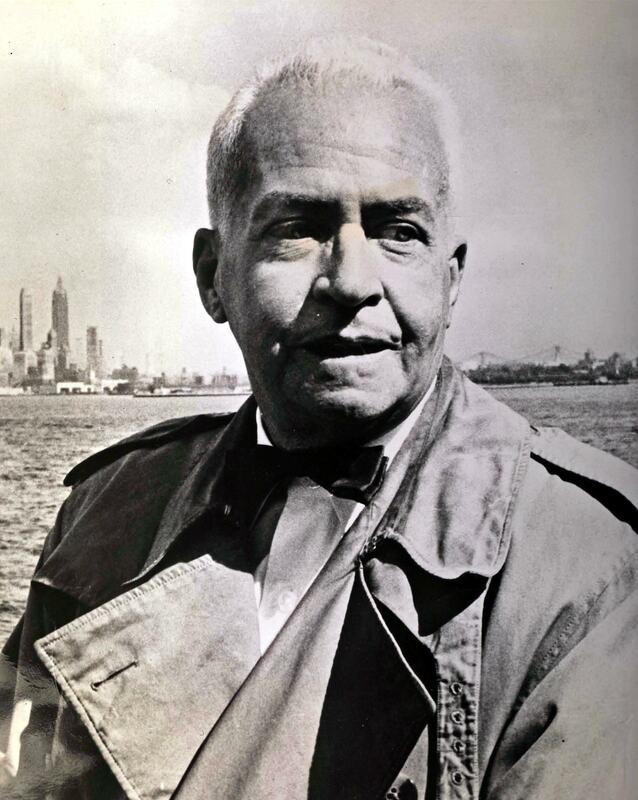 Beyond the facts that his last name was Vanderbilt, that he was standing in Long Island and what he had in his hands was an award for an auto race victory, comparisons to the great road races of 50 to 56 years prior were nothing to take seriously. 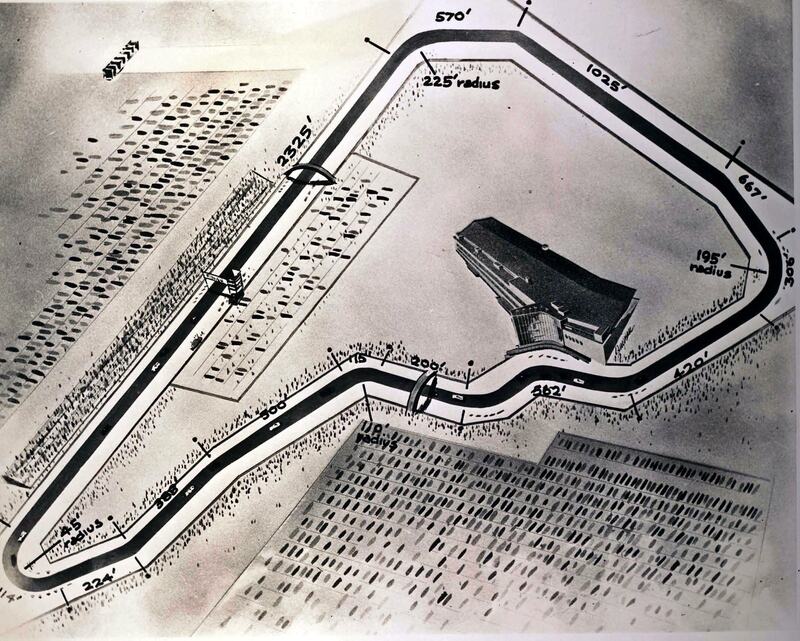 I never knew about the 1960 Roosevelt Raceway races. If anyone has more information, programs or posters, I’d love to see them.